You are here: Home » Articles » Dispensational Articles » What is Right Division? The picture of the apples and oranges above is meant to convey something of this principle, where we are encouraged to distinguish the differences within the Scriptures. 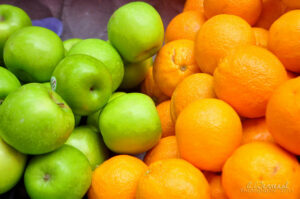 Both apples and oranges are fruits, but there are differences between them. Similarly, all Scripture is God-inspired and is FOR us, but not all Scripture is ABOUT us. In this brief article, the author discusses the meaning behind “rightly dividing”, and includes a two page chart.